crispAudio is your partner for all automotive audio products! crispAudio GmbH, a subsidiary of Dainty Gemmy Group, today announced the release of it‘s turnkey product family which enables development automotive high performance DSP audio amplifier at record speed. The product platform is based on the powerful DRA78X system-on-chip from Texas Instrument which was tailored for these kind of applications and is available in different configurations and speed grade to suit cost-efficient and ultra-high performance systems. CrispAudio offers a ready-to-use OEM reference product which offers 12 power amplifier outputs, 4 analogue audio inputs, 4 microphone inputs (e.g. for ANC usage), a A2B transceiver as well as Automotive Ethernet (BroadR-Reach, IEEE 802.3bw-2015) and a High-Speed CAN Interface. Despite high component density and complex high-speed circuits crispAudio managed to realize a 6-layer PCB design to save cost but still fulfill all OEM requirements. Naturally the digital InnoPower boost supply was integrated into the design as well. 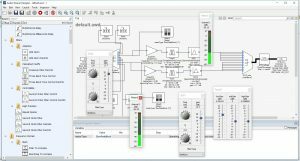 the iFidelity library, a collection of highly optimized audio algorithms especially designed for automotive applications (please refer to: http://crispaudio.de/wordpress/?page_id=806) and a powerful tuning application. To further simplify the development of audio applications, crispAudio has partnered with DSP Concepts and integrated the Audio Weaver Core into the turnkey design. Using the Audio Weaver Designer, customers can easily create their own signal flow by placing filters, setting their parameters, connecting audio sources with sinks etc. All changes are directly transferred into the turnkey amplifier using a USB cable without the need to recompile or load code. 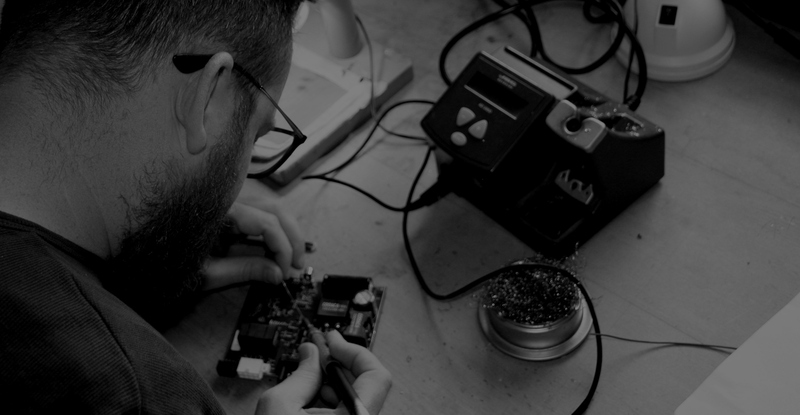 By taking advantage of the pre-developments and design principles it is possible to turn OEM soundsystems within a few months from specification to mass production. The outstanding performance of the DRA78X SOC with up to 2 integrated SIMD-DSP (750MHz) and a dedicated accelerator for vector math (e.g. calculating FIR filter chains) will enable to run even the most demanding audio applications. Algorithms for surround sound, e.g. from Dolby or DTS have already been ported and are available off-the-shelf. 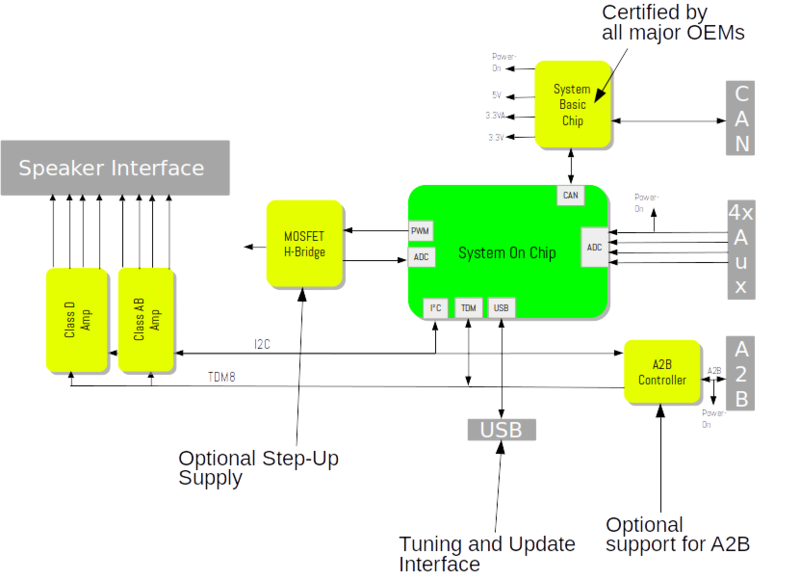 crispAudio uses one of two integrated Cortex-M4 CPU cored for low latency applications (such as ANC or EC/NR). The turnkey reference amplifier is produced in the OEM-certified factory of Gemmy Electronics in Shenzhen. Gemmy Electronics can also supply loudspeakers and cabinets providing complete audio system solutions to to OEMs. crispAudio GmbH, a subsidiary of Dainty Gemmy Group, today announced the release of it‘s revolutionary InnoMain OEM-grade automotive amplifier platform. By using a specially-designed System-On-Chip and latest SW algorithms for audio processing and digital power, crispAudio was able to cut electrical bill of material by 30% compared to other systems. 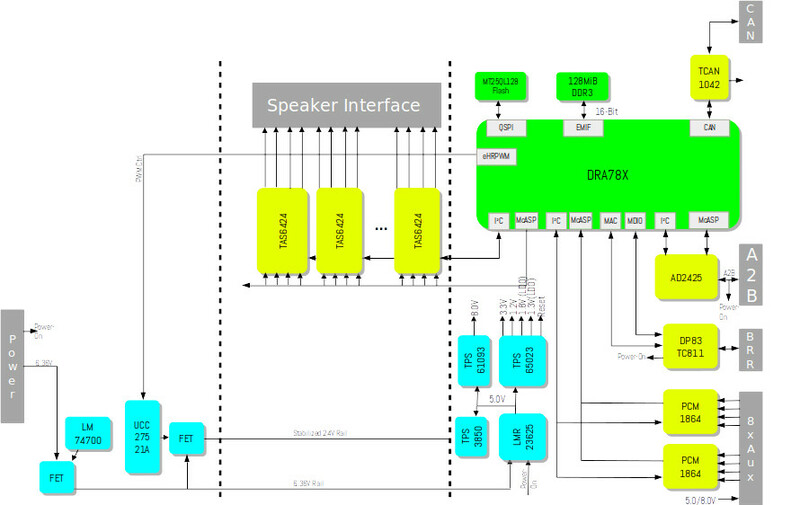 InnoMain is targetted at mid-range automotive sound systems with 8-12 speakers providing 400-800MFLOPS of processing power and analogue inputs plus CAN as well as A2B and Ethernet connectivity options. Different output power configurations are available ranging from 25-40W per channel up to 150W/channel using crispAudio‘s unqiue InnoPower boost technology. 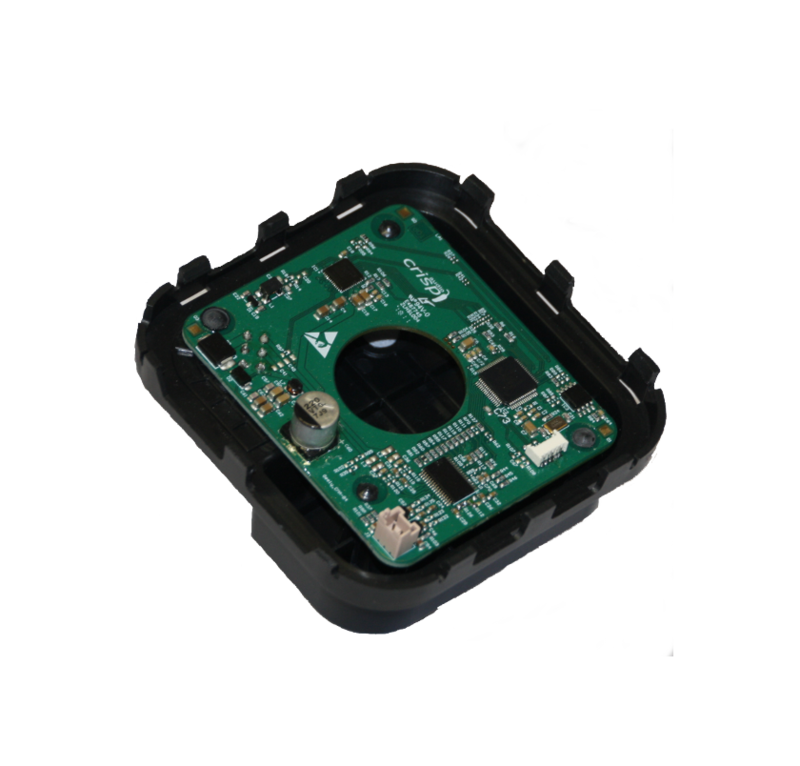 InnoMain is produced in the OEM-certified factory of Gemmy Electronics in Shenzhen. Gemmy Electronics can also supply loudspeakers and cabinets providing complete audio system solutions to to OEMs.